Liquid removing frost and ice from windows, mirrors and car lights. 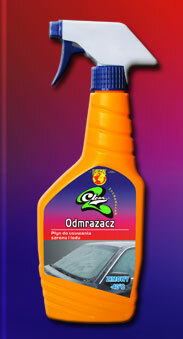 Defrost and removes ice without destroying seals or rubber part of wipers. Allows good transparency of car windows and helps to avoid scratching which takes place while mechanical removing of the frost with an Ice-scraper Effective in temperatures down to -40oC.